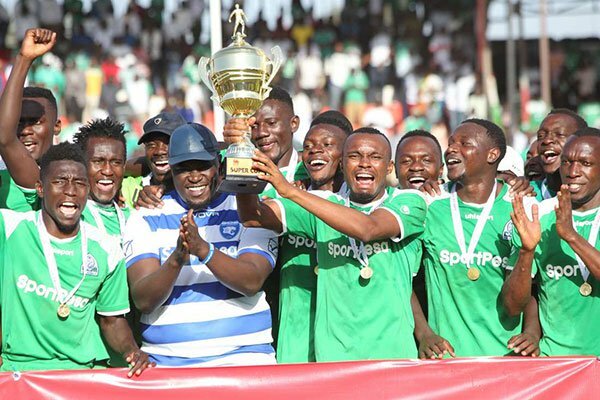 As both Gor Mahia and Kariobangi Sharks prepare for their continental ties, they will face each other on December 2 in the 2018 season Super Cup. “The KPL Super Cup pitting Gor Mahia and Kariobangi Sharks will be played at MISC Kasarani,” KPL announced the latest changes on Thursday. Gor Mahia are the defending champions and have won the Super Cup two times in a row having beaten Tusker in the 2016 season edition and beating AFC in the 2017 season edition. They will be looking to make it three in a row. They will have to defend their title without reliable talisman Jacque Tuyisenge who limped off the pitch against Bullets on Wednesday. “I hope it (the injury) is nothing serious and we can have him available for us in Blantyre,” coach Zico spoke of his most lethal player after the match. It was Tuyisenge who scored the winner against Tusker in the 2016 season edition of the Supercup. A 94th minute goal by Bernard Ondiek gave Gor Mahia a 1-0 win over a determined Nyasa Big Bullets on Wednesday. The win enables Gor Mahia to take a slim lead to Malawi for the return leg next week. And crucially, Gor Mahia did not concede an away goal. 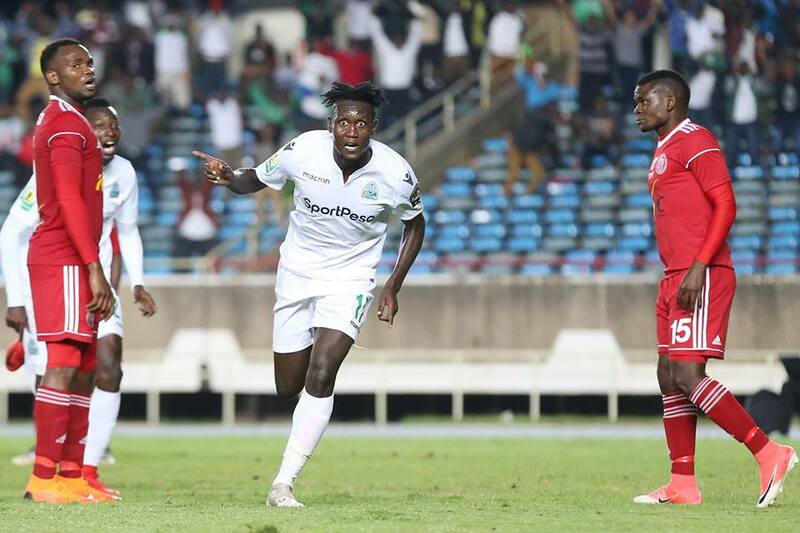 ubstitute Bernard Ondiek struck an injury time winner as Gor Mahia secured a 1-0 win over Malawi’s Nyasa Big Bullets in their Caf Champions League preliminary round first leg encounter at the Kasarani Stadium on Wednesday. The scorer was fed through on goal by Humphrey Mieno and rifled the shot into the back of the net past a hapless Rabson Chiyenda, who was guarding the visitors goalmouth. “The opponents tried to play a defensive game to frustrate us and wait for the counter attack. I am happy we managed to break them down eventually because we deserved this win,” said Gor Mahia interim coach Zedekiah ‘Zico Otieno after the match. “This is a very unfortunate result. We suffered a lapse of concentration in the last minute and gave away the hard work put in over 90 minutes. Let’s see what happens in Blantyre,” Nyasa’s coach Kalisto Pasuwa responded. 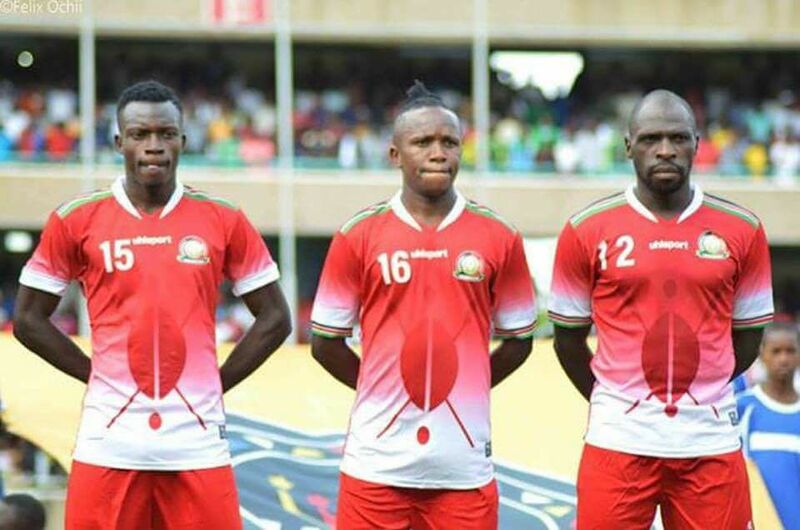 This result hands the Kenyan champions a slender advantage against their Malawi counterparts ahead of the return leg clash slated for six days time. As things stand, the Malawians need to win the return leg by two clear goals to progress to the first round of this lucrative continental championship at Gor’s expense. The hosts suffered an early setback when lead striker Jacques Tuyisenge was forced off the pitch after only eight minutes with what looked like a knee injury. The Rwandan forward was replaced by Sammy Onyango, who moved over to the right hand side of midfield, with new signing Erisa Ssekisambu taking Tuyisenge’s position upfront. In their first competitive match of the 2018/2019 league season, K’Ogalo took time to settle. Infact, their first clear cut chances arrived in the final 15 minutes of the game. The initial opportunity came on 38 minutes, via an Ernest Wendo’s fierce free kick, which was goal bound, until Chiyenda intervened and parried the ball away for a fruitless corner. The next chance fell to the lanky Humphrey Mieno, but again he fluffed it, gifting Chiyenda with an easy catch, when he should have passed the ball to Ssekisambu, who was in a better opportunity to score. In between, Bright Munthali almost scored an away goal, only for his shot to be scrambled away by Gor goallie Frederick Odhiambo. The Kenyan champions upped the ante in the second stanza with Francis Mustafa and Kenneth Muguna taking turns to test Chiyenda. 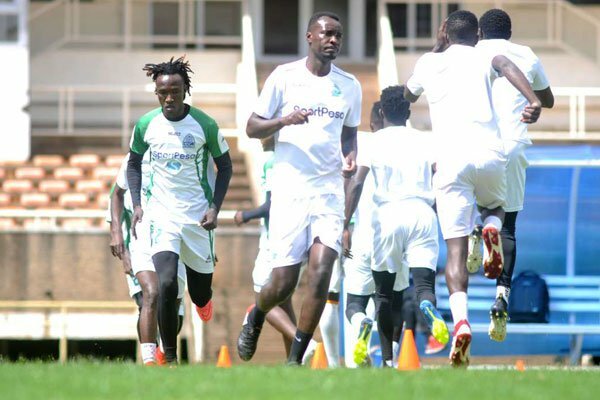 Gor Mahia XI: Peter Odhiambo, Philemon Otieno, Shafiq Batambuze, Joash Onyango, Haron Shakava, Earnest Wendo, Humphrey Mieno, Kenneth Muguna, George Odhiambo, Erisa Ssekisambu and Jacques Tuyisenge. Subs: Boniface Oluoch, Charles Momanyi, Pascal Ogweno, Cercidy Okeyo, Benard Ondiek, Francis Mustafa and Samuel Onyango. Gor Mahia start their continental campaign for the 2018-2019 season today against Nyasa Big Bullets of Malawi. They will be looking to overcome the disappointment of the UK tour which saw them play poorly lose to Everton. They will also be looking to overcome the loss of popular coach Dylan Kerr. But his replacement Zedekiah Otieno is adamant that the team is well prepared. “We have worked on all possible scenarios and we think they might sit back and try to hit us on the counter. We are ready for that,” Zico told journalists on Monday. Gor Mahia have never reached the champions league group stages. Zico is determined that this will be the first time. He will be hoping that Tuyisenge’s form from the national team translates to his club on Wednesday and that he and Kahata can put aside the distractions emanating from their transfer rumours. Nyasa Big Bullets are confident after having won their last match 5-0 . Chiukepo Msowoya who scored a brace in this match is the man Kogalo must watch. He is vastly experienced having played in Rwanda, Mozambique and South Africa. he is also a key performer in the Malawi national team and played in the 2010 Africa nations cup. The attack also has the young Patrick Phiri who at age 20 is also in the national team and scored against Comoros earlier this month. Together with Msowoya, they form a lethal attack that Gor Mahia will be hard pressed to contain. Assistant Coach Lovemore Fazili recently led his team on a build-up tour of Tanzania where they played against Simba and JKU. Based on those results, he said he is confident against Gor Mahia. They arrrived on Monday and have been training at Ruaraka grounds. 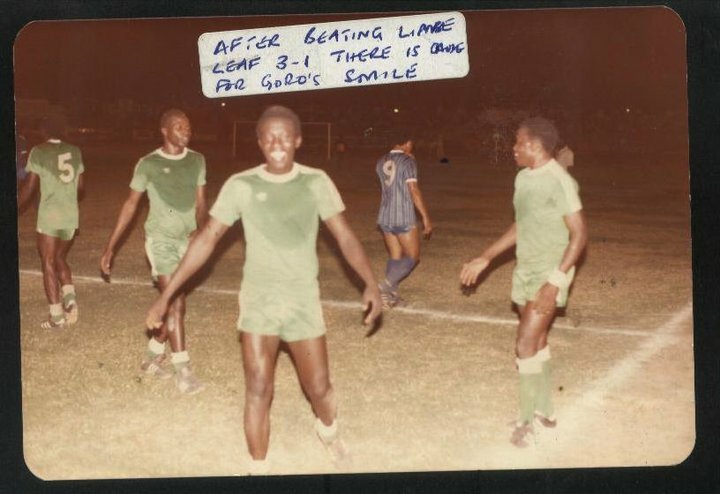 “We wanted to train at night but there was no pitch with floodlights. We hope to have our last session tomorrow at night and see how we adjust,” said Kalisto Pasua the head coach. The Bullets have won the Malawi league 13 times and are on course to win the league again. They currently sit atop the league with four matches to go. Pasua is confident that his team will be sharper since they have been busy. “The fact that we have been active can be good thing to us but again there are lots of tired legs in the squad. We just want the boys to have the right mentality and see what happens on Wednesday night,” said Pasua. Against Simba in the recent friendly, Bullets relied on defending in large numbers then launching counter attacks. Indeed Malawian teams are noted for the speed with which they execute counter attacks. But Gor Mahia were recently given harsh lessons in lightning quick counter attacks by Everton so they should be ready for anything. Erick Ombija , Castro Ogendo , Erisa Sekisambu (Vipers SC), Geoffrey Ochieng (Western Stima), Shafik Batambuze (Singida United), Kenneth Muguna (FK Tirana), Nicholas Kipkirui (Zoo FC) and Pascal Ogweno (Kariobangi Sharks). Wesley Onguso and Kevin Omondi have been released. Omondi’s form dipped significantly last season after what seemed like a brilliant start. It appeared he was on his way to regaining the form that saw him called up to the national team at age 19. Despite earlier stating that Zedekiah Otieno will be given the reins as the full time coach, Chairman Ambrose Rachier has reversed course after having received numerous applications . Rachier now says the club is screening multiple applicants for the position. Gor Mahia sponsors, Sportpesa could start paying player salaries directly according to a report from goal.com,. 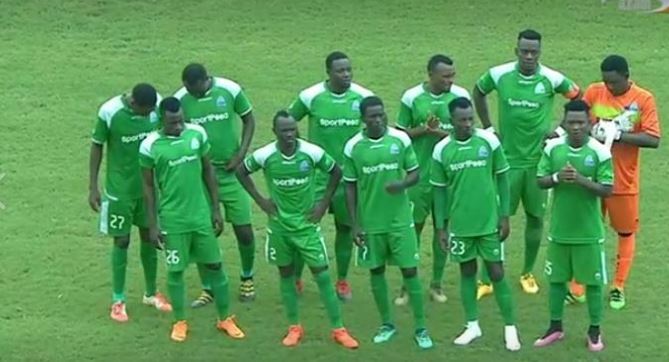 Despite a generous sponsorship package, both Gor Mahia and AFC have often paid their players and staff late resulting in embarrasing situations where players are thrown out of their homes for lack of rent. The management of noth clubs has proven incapable of managing funds properly. The perennial players’ boycott at Gor Mahia and AFC Leopards could be a thing of the past if plans by both teams’ sponsor are implemented. 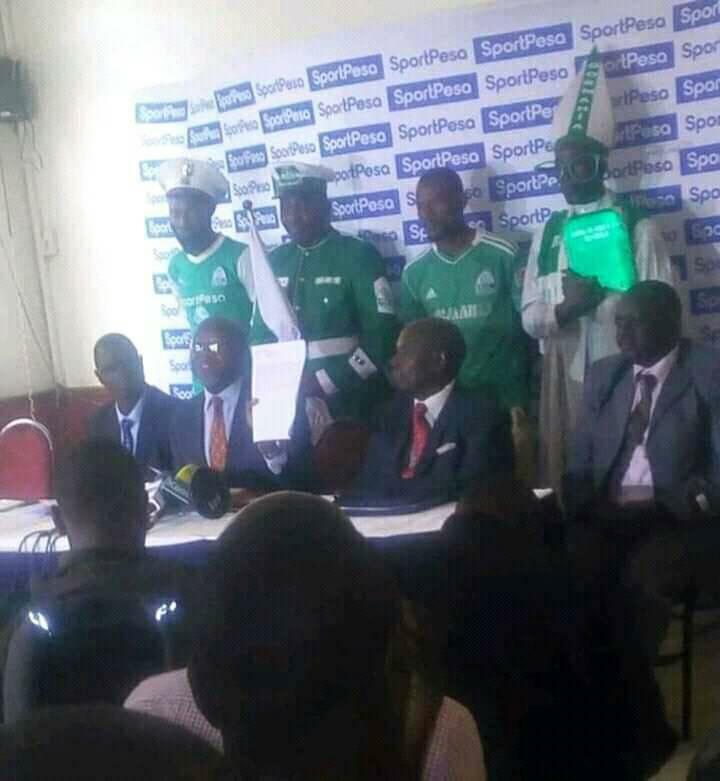 Gor and AFC signed a three-year deal with SportPesa worth Sh198.6 million and Sh156.4 million, respectively, but the two teams have to struggle to remit players’ salaries on time, something that has often escalated into strikes by the players. But the gaming company has devised plans to end the bad publicity with SportsPesa CEO Ronald Karauri saying that they are contemplating wiring the players’ salaries directly into their respective accounts by January 2019. USM Alger are actively courting midfielder Francis Kahata. A source has told goal.com that Kahata could fetch Ksh 8 million. “The Algerian club is willing to pay Sh8m if both parties agree for the player to switch clubs.” said the source. Kahata has been a subject of transfer rumours ranging from Simba of Tanzania to Black Leopards of South Africa and now USM Alger. Tuyisenge for his part is being sought by TP Mazembe of DRC and Mamelodi Sundowns of South Africa according to his agent Jean Karekezi. “I think he (Tuyisenge) has outgrown playing in KPL right now. He’s the best striker in Kenya currently and he should move to another league to prove that he’s among the top players in the continent. “We already have two offers in South Africa and Congo and we will have to settle for one, possibly by the end of next week. If big teams like TP Mazembe and Sundowns want you, you have got to listen to them.” said Karekezi. Former Nigeria national team coach Samson Siasia is among coaches who have applied for the vacant Gor Mahia job even as the record Kenyan champions brace for a tough Caf Champions League preliminary round first leg clash against Malawi champions Nyasa Bullets at the Moi International Sports Centre, Kasarani on Wednesday. Siasia, 51, is remembered for leading Nigeria in the 2012 Africa Cup of Nations qualifiers before he was fired in October 2011 only to be reappointed five years later. He led Nigeria Under-23 at the 2008 and 2016 Summer Olympics winning silver and bronze medals respectively. He also clinched the African Youth Championship with the Under-20 side in 2005 among some of his career highlights. By Friday afternoon, a whooping 48 coaches had tendered in their CVs eyeing the post that fell vacant after the resignation of Briton Dylan Kerr, who has since joined South African top tier outfit Black Leopards. 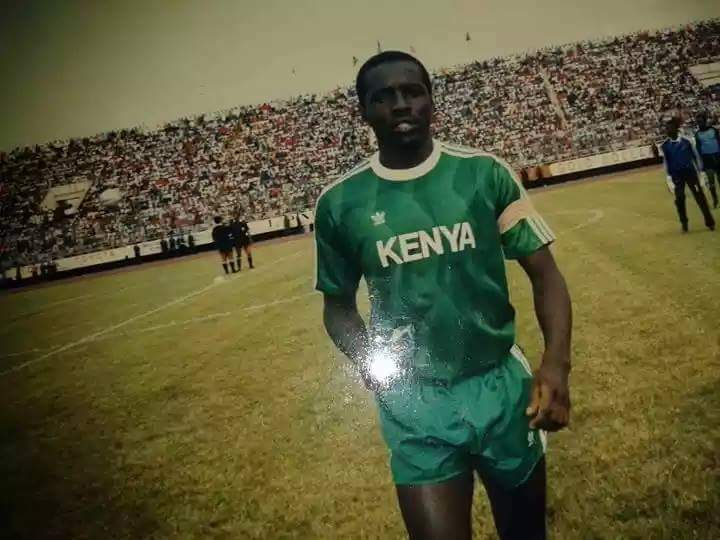 In a shocking turn of events, there’s no Kenyan coach who has officially applied for the job even as hopes for assistant coach Zedekiah “Zico” Otieno to be handed the job on a permanent basis dwindle. Rwandese Olivier Karekezi, Portuguese Rui Nascimento, Italian Giovanni Petraglia, Serbians Goran Kopunovic, Dragon Popadic and Zlatko Krmpotic – the latter formerly at TP Mazembe of DR Congo and Zesco United of Zambia – have all sent their applications. Former AFC Leopards coach, Belgian Luc Eymael and current Rayon Sports’ Brazilian tactician Roberto Oliveira had been tagged as favourites before Eymael bolted out of the race to join Egyptian side El Geish SC. “We are still sieving through the CVs till next week when we shall call for a sitting to zero down on what we have,” Gor Chief Executive Officer (CEO) Lordvick Aduda told Nation Sport on Friday. Gor has posted success with coaches from the United Kingdom in recent times, notably Bobby Williamson in 2013 to Frank Nuttall and recently Kerr, a factor Aduda alluded will be considered during the vetting process. “We want someone who will take Gor Mahia to the next level and have an impact in the Champions League, he has to understand African football,” he offered. Meanwhile, the team continued with their preparations for Wednesday’s match with a double training session at Camp Toyoyo grounds, a day after the club cleared the Sh340,000 debt that had seen them locked out of the facility for weeks. Malawian portal, Nyasa Times, reported on Thursday that the country’s most popular club, through their CEO Fleetwood Haiya, had asked the Football Association of Malawi (FAM) to reschedule the fixture as it would put them at a disadvantage before flying to play Gor. FAM however disputed the complaint through media manager Gomezgani Zakazaka. 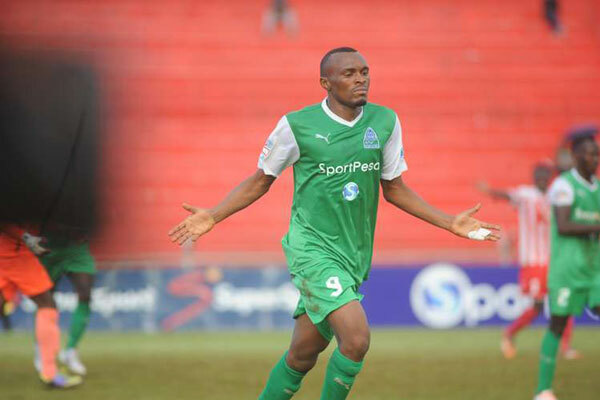 Gor Mahia’s new signing, Erisa Sekisambu whose arrival had been delayed due to disagreements over his signing bonus, has reported to the KOgalo camp in Nakuru. The center forward penned a two-year deal with the reigning Kenyan Premier league champions in late October but money had not exchanged hands hence delaying the completion of the move. The 23-year-old former Vipers SC player is expected to join the rest of the team as they begin a one week camp in Nakuru County on Wednesday morning. 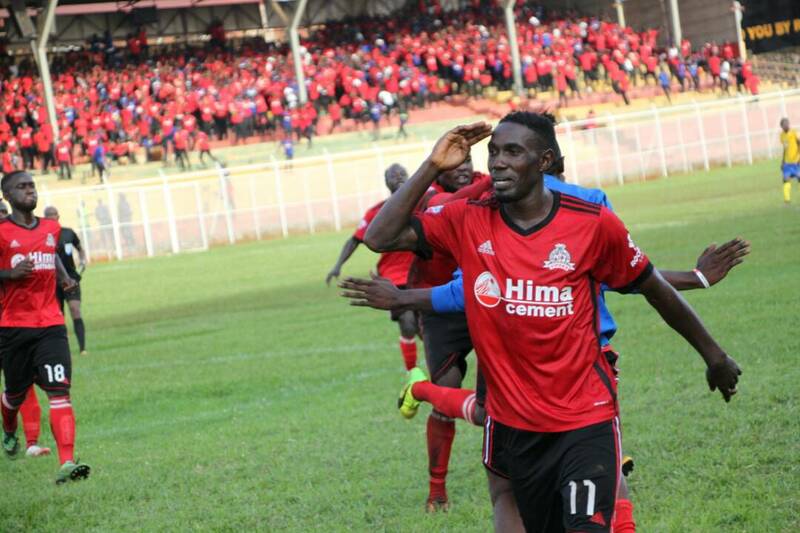 Erisa Ssekisambu’s arrival adds to six the number of foreign players at KPL Champions and the club will have to drop or loan one to create space for the Ugandan vibrant international. Erisa Ssekisambu was at Uganda Premier League Champions Vipers Sports Club last season and joins fellow Ugandan Shafik Batambuze at the K’Ongalo. Gor Mahia have signed Western Stima defender Geoffrey Ochieng. Ochieng joined Stima from Kisumu Palos. He has previously been a transfer target of several KPL teams including Gor Mahia, Bandari and Sofapaka. He can play at either fullback or central defence. Gor Mahia official Ronald Ngala has told goal.com, that the club is willing to sell Francis Kahata and Philemon Otieno to Black Leopards of South Africa. In addition, reports suggest that Karim Nizigiyimana is looking for greener pastures after expressing dissatisfaction with the deal the club offered him. With Karim and Mbish leaving, there would be a gaping hole at right back. Gor Mahia players Philemon Otieno and Francis Kahata have been subject of transfer speculation of late. Goal exclusively reported on Monday that the players are in the shopping list of former coach Dylan Kerr, who joined South African Premier League side the Black Leopards. When reached for comment about the possibility of Gor Mahia selling the two, Deputy Secretary General Ronald Ngala said the club will not stand on the way of any player, who wants to leave, if the right channel is followed. “We are in business and if we get a good offer, we’ll definitely consider it. Our policy is known; we cannot stop any player from leaving if the right procedures are followed, refusing to give a release letter will not benefit the involved parties, everything should be discussed and in the end, an amicable solution reached. “Kahata is contracted to us until June next year while Otieno is contracted to us up to 2020. So if Black Leopards are interested to sign the two players, they should follow the due process in regards to transfers,” Ngala told Goal.com. Gor Mahia will face Malawi giants Nyasa Big Bullets in the first leg of the Caf Champions League on November 28 before the return leg on December 5.